Welcome to Villa Finesse, please make yourself at home. It is an affordable, clean place to stay. We are open 24 hours, you can arrive late - even long after midnight. It is only 2 hours from Johannesburg and 1 hour from the Botswana/South Africa Border - ideal for early entry through the border. 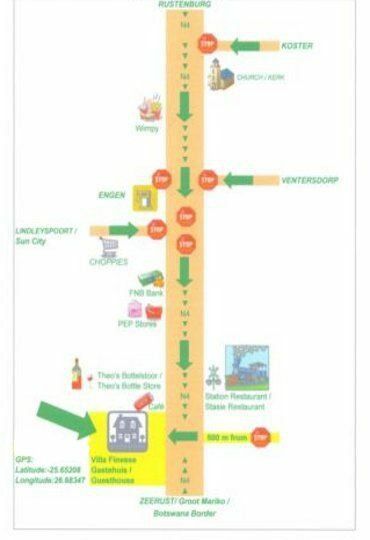 We are situated right next to the N4 that runs through the small country town, Swartruggens. 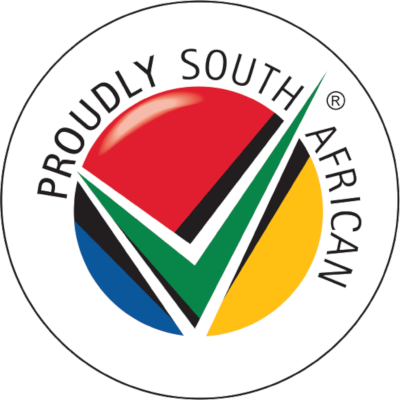 We are less than 1 hour's drive from Sun City, Pilansberg Nature Reserve, Royal Bafokeng Stadium, Rustenburg, Koster, Ventersdorp, Lichtenburg, Groot Mariko and Zeerust. We offer 5 affordable en-suite rooms.
.	TV channels:Standard SABC channels plus a Shared DSTV channel.
.	Electric blankets (Only in the winter months).
. Direct access to the swimming pool.
.	View over the garden.
.	Small veranda for smoking, barbequing and relaxing.
.	2 entrances (a front door and a back door).
.	Dinner Plates, cutlery, braai equipment, etc. are available on request. The manager stays on the premises. We are looking forward to accommodate you. Please drive safely. Breakfast is Additional R125 per adult and R50 per child under 13. Had a very good stay at Villa Finesse ! It was amazing, Jenny is a wonderful hostess.